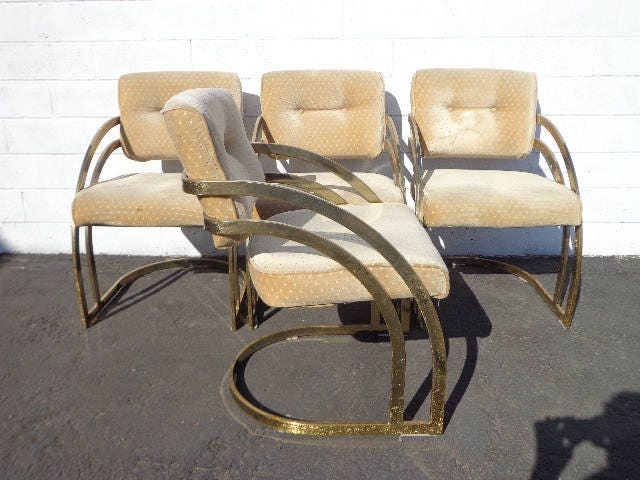 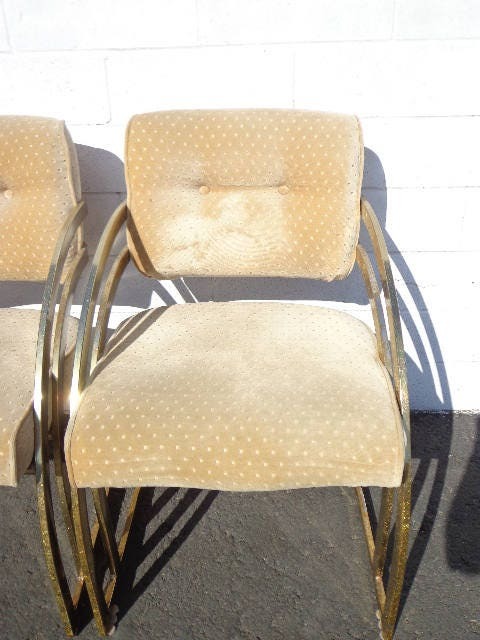 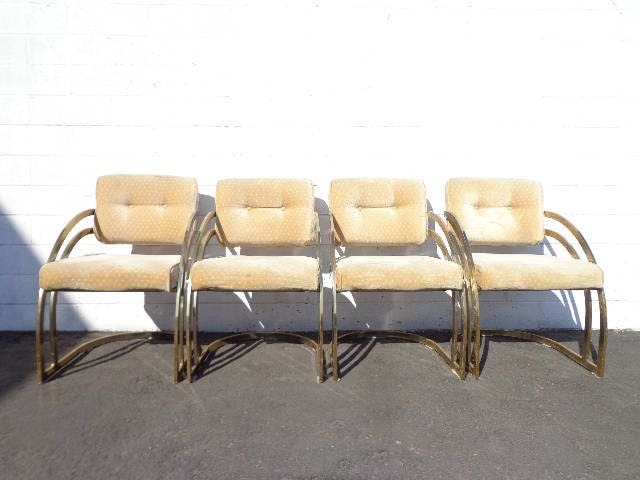 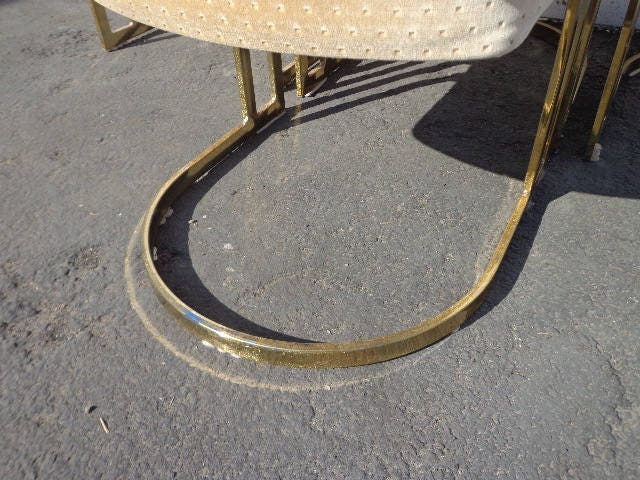 Fabulous set of 4 Milo Baughman for DIA chairs. 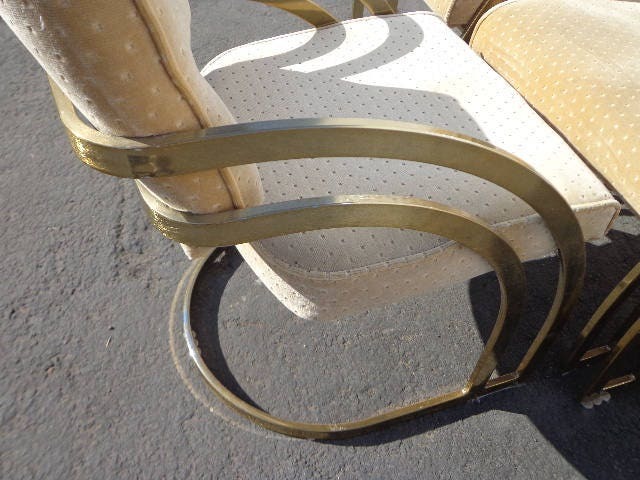 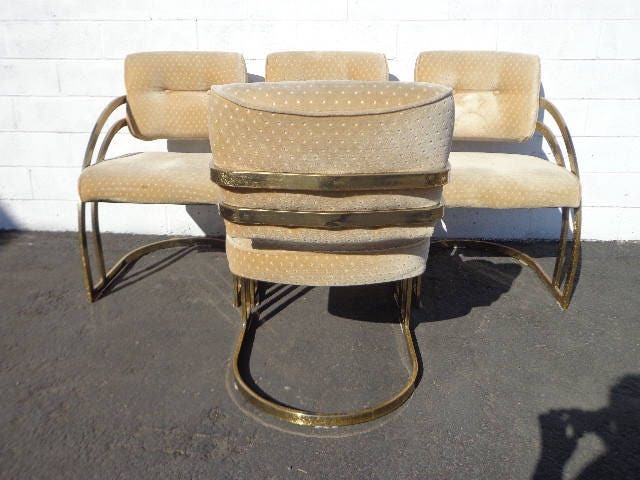 Features amazing brass - gold, heavy frames and coordinating neutral upholstery. 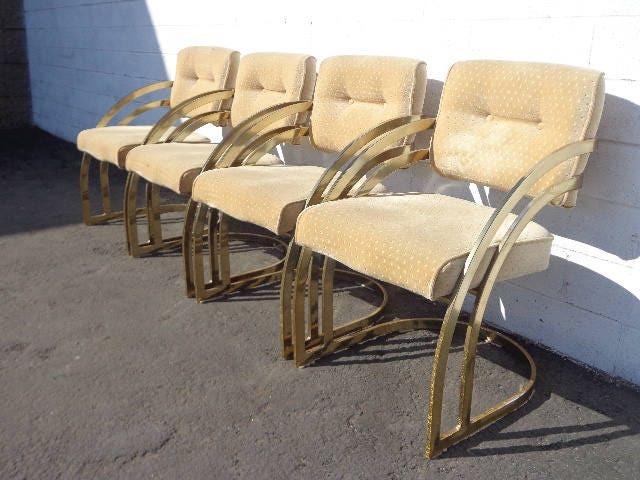 The chair backs have a triple bar design and waterfall cantilevered frames making these unique and focal pieces. 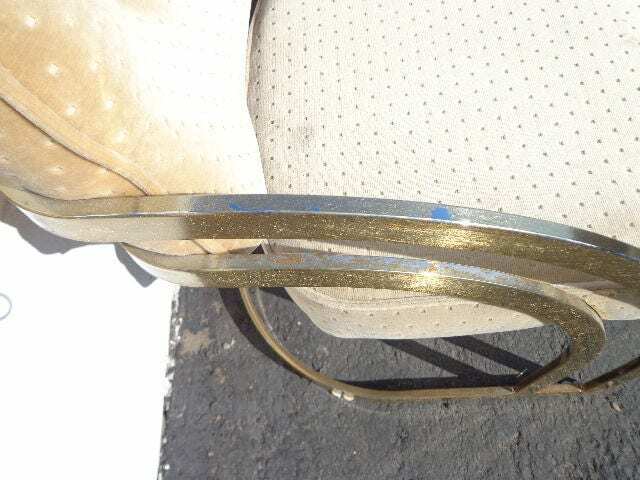 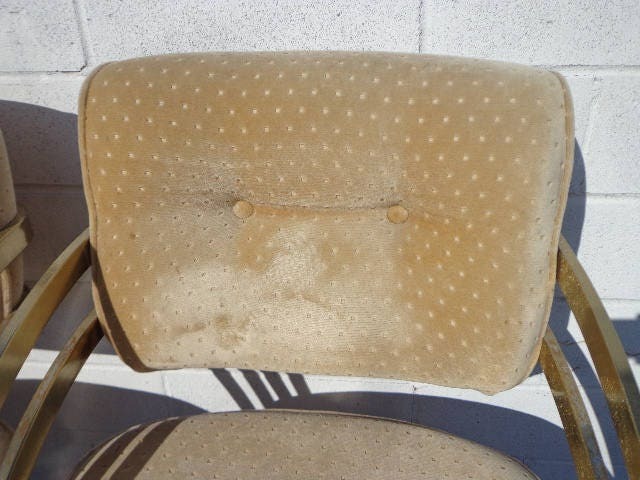 Shows wear on the metal surface and the upholstery. 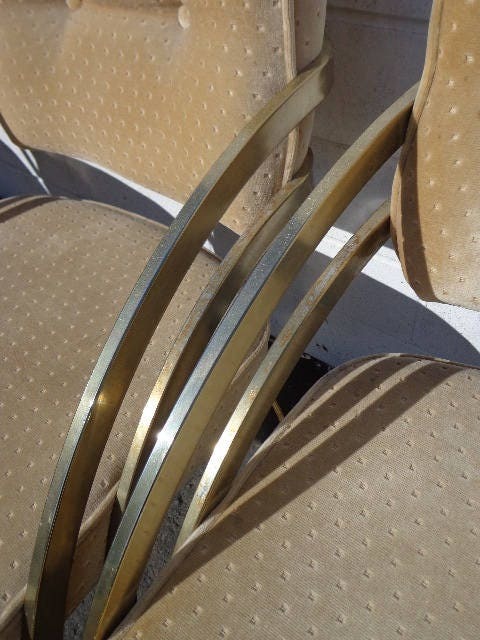 Solid, sturdy frames.